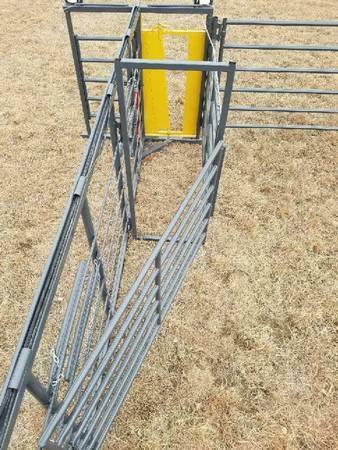 Delivery is available for all corrals. 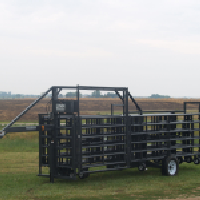 other Wrangler Portable corral to add more capacity and pen options. 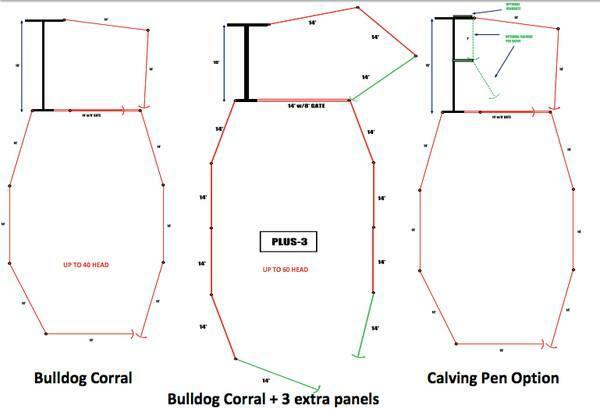 pen or a working pen to doctor animals to save you time and your animals stress. 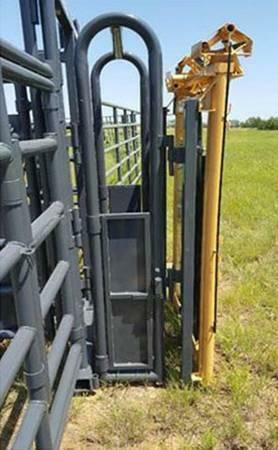 *Headgate attachment -- we now offer the attachment you see on the flyer that allows you to put a headgate on the rear of the corral to be able to work cattle while still out at pasture. 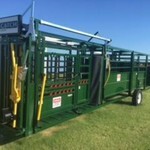 This attachment gives you full access to the front of the animal and gives the operator plenty of room between the rear corral frame and the headgate. 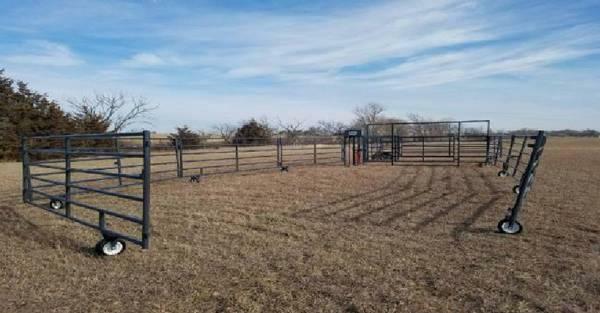 Height: Gate Opening 66" • Overall 73"
*Spare tire option -- The tire &rim is held into place on the corral frame by using a U-bolt and bracket that fits up against a tab welded on all corrals frames keeping it secure and out of the way. 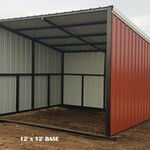 All orders must be paid for in full before delivery, by cash,check, or wire transfer. 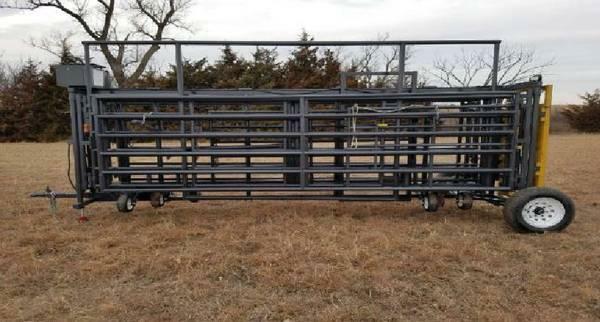 If you need financing enter your quoted price in the box on the website and then enter your email and your financing information will be emailed to you, or contact us and we will arrange financing. 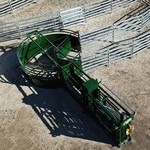 We have three finance companies ready to serve you. 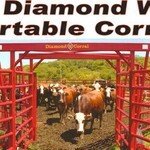 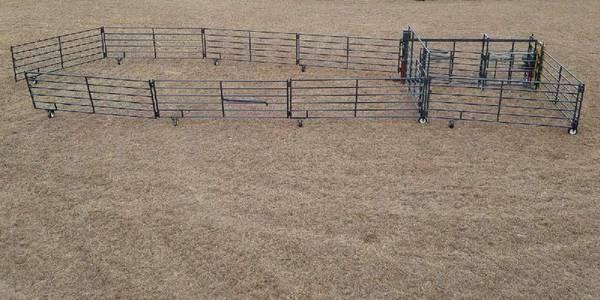 Diamond W Wheel Corral-Lowest Prices!